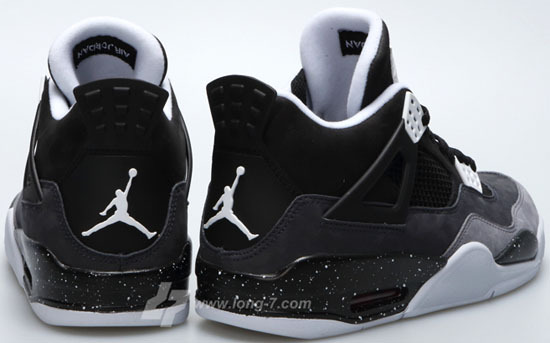 After being dubbed the "Stealth" edition, this Air Jordan 4 Retro is actually called the "Fear" edition. 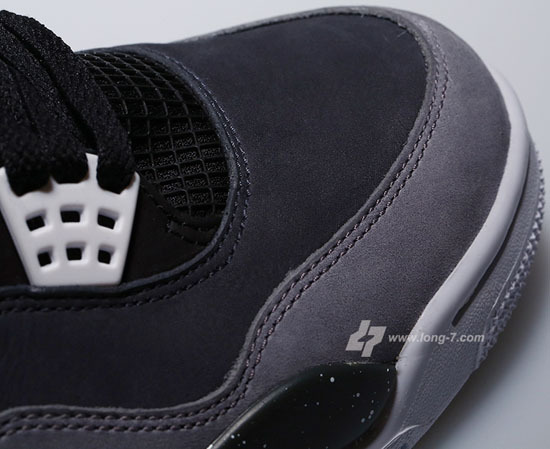 Over the past few weeks, we have got a good look at this new colorway of the Air Jordan 4 Retro. 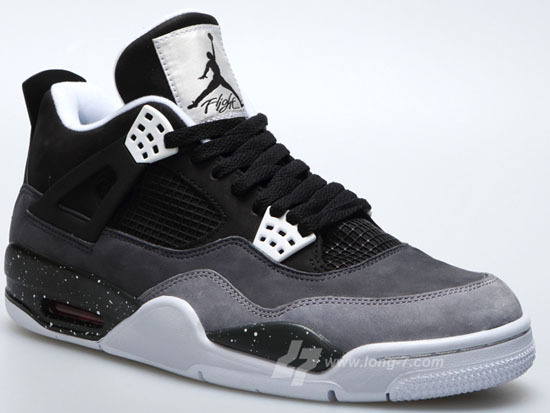 It has been nicknamed everything from the "Stealth" edition to the "Oreo" edition to the "Stealth Oreo" edition. Today, those nicknames can be put to rest. 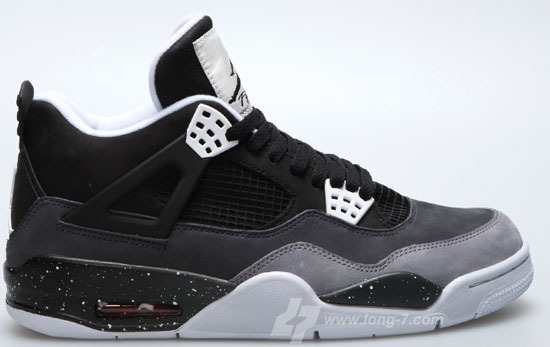 This is actually the "Fear" edition and is part of the "Fear" Pack set to release later this year. The "Fear" Pack consists of the Air Jordan 3 Retro QS, Air Jordan 4 Retro QS and Air Jordan 5 Retro QS which will all be released separately. 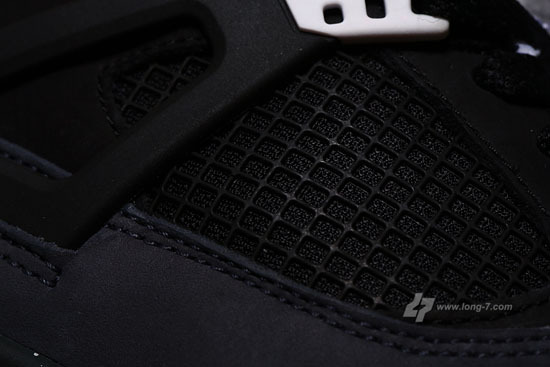 Today, we take another look at this Air Jordan 4 Retro QS. 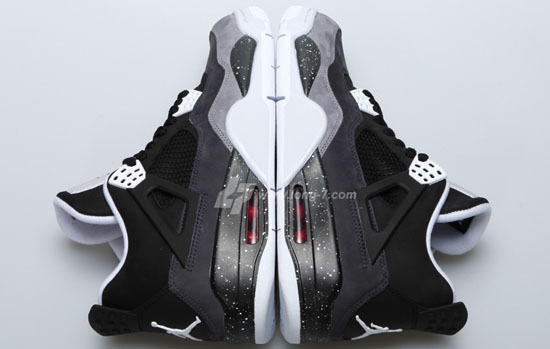 They come in a black, white, cool grey and pure platinum colorway. 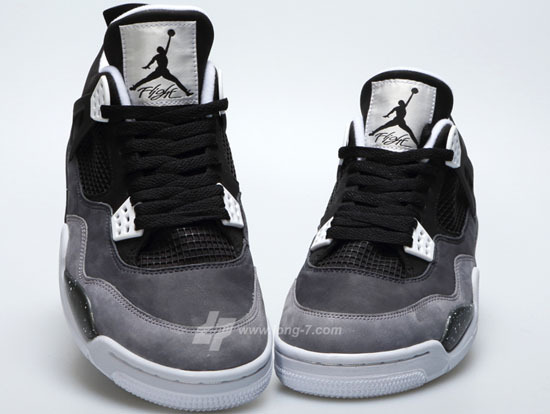 Featuring a black and grey based upper that features two different shades of grey. 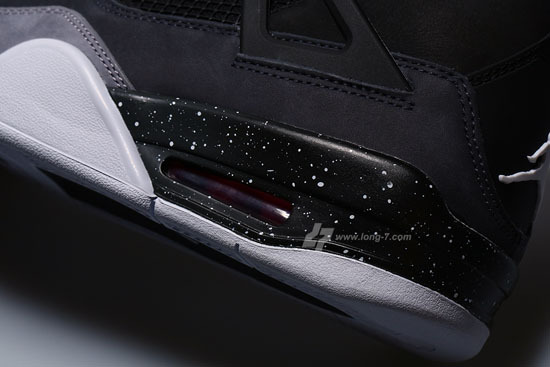 White accents and a speckled midsole finish this pair off. 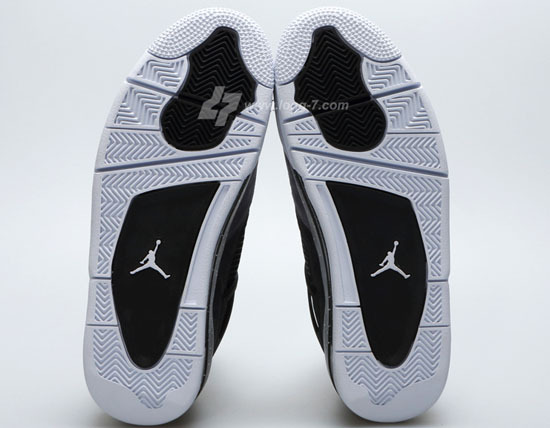 A limited release, look out for these alongside the rest of the "Fear" Pack at select Jordan Brand accounts worldwide on Saturday, August 24th, 2013. Retail is set at, $160. 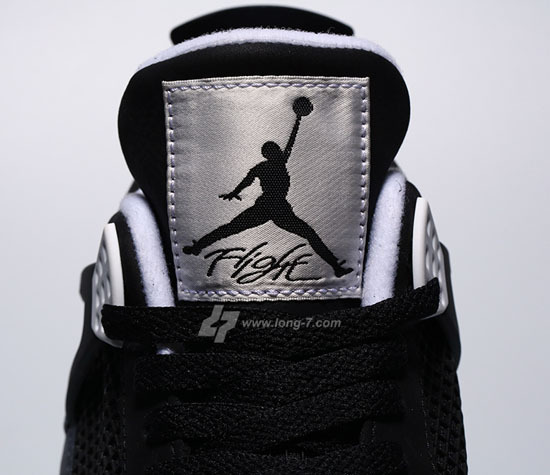 For now, enjoy the detailed images of the "Fear" Air Jordan 4 Retro QS in black, white, cool grey and pure platinum below. If you're interested in picking these up when they release, be sure to check in with your local spots to see if they will be receiving them. Those of you looking to lock down a pair now can, click here to buy them on eBay.